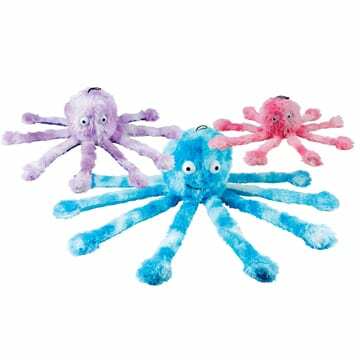 Meet the Octopus family – our best selling range of toys. 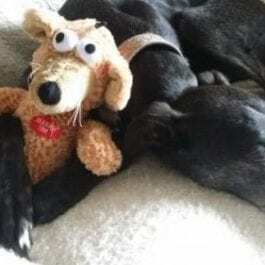 Perfect for the greyhound or lurcher in your life. 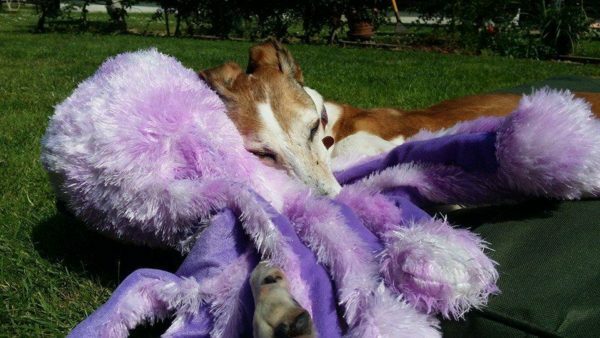 Greyhounds (and other dogs) love the Octopus family! 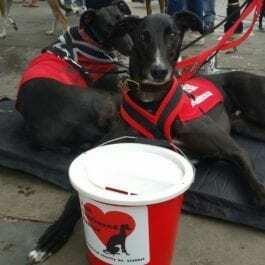 Approved by Bingo: Big Daddy was introduced to the family in July 2018 and he has proved a huge hit with the dogs. The toys come in pink, blue or purple and in the following sizes: (the photographs show the daddy size apart from the one with Zuma and the blue ball which is a big daddy). baby 25cm (great for the puppy hound or whippet). The toys are very soft and have crinkly legs and also scrumple, honk and squeak. 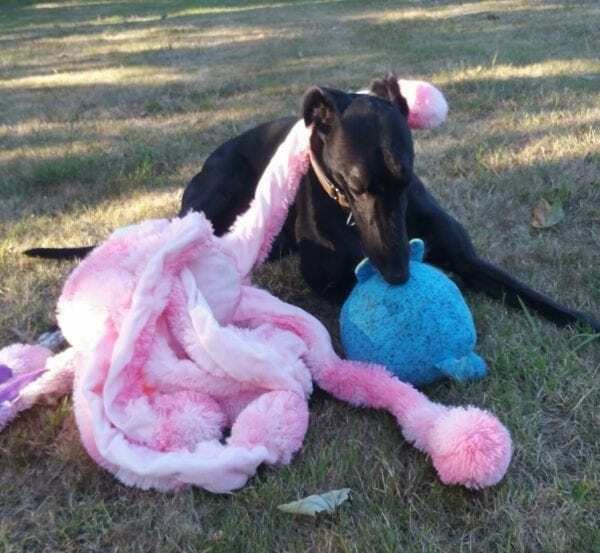 What more could your greyhound want! 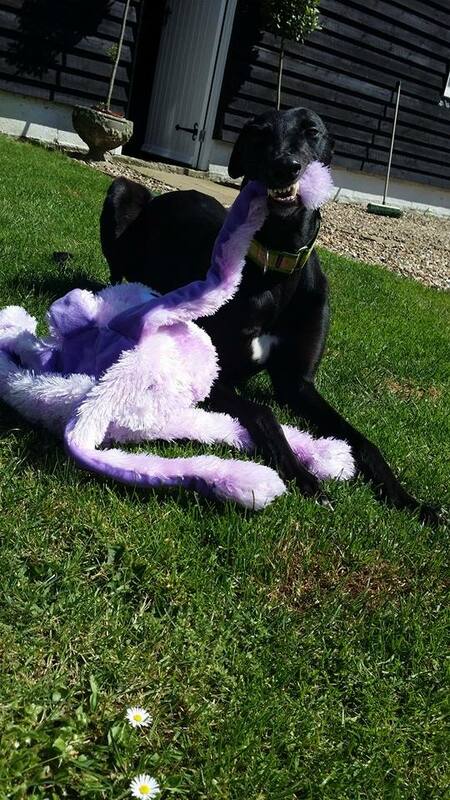 Bingo (head of fundraising at KGR) will do anything for the Octopus toy! 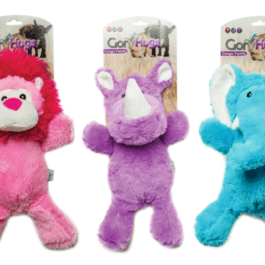 The toys are very soft and have crinkly legs and also scrumple, honk and squeak. What more could your greyhound want.